This entry was posted on October 6, 2015 by Tintean Editorial Team/fdg, in Book review, History and tagged Ascendancy, Big House, Civil war and Country Houses, Irish Country Houses. Bookmark the permalink. 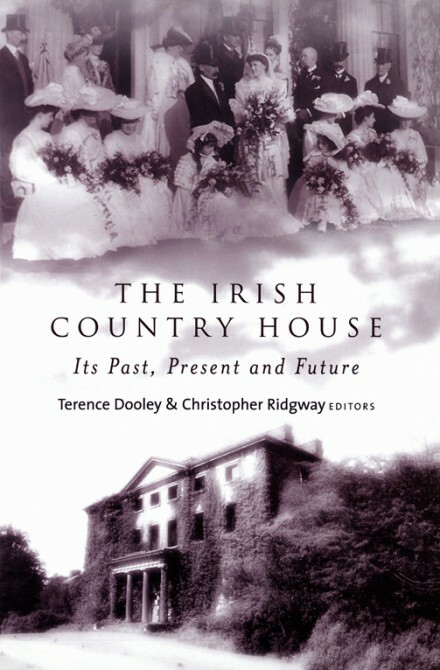 The Irish Country House: Its Past, Present and Future, ed. Terence Dooley and Christopher Ridgway, Dublin, Four Courts Press. ISBN: 978-1-84682-589-7, paperback, pp 267. Like a feared, crabby aunt who has mellowed in old age to something of a family pet, so the Irish now see the country house. From hating their owners as rapacious landlords in the nineteenth century, to burning a significant number down in the 1919-23 period, to ensuring their deroofing through a punitive taxation system in the 1950s, we now see the houses, and their occupants, in a kindlier light. Few have been more vigorous and assiduous in changing public perceptions than the editors of this volume, originally published in 2013, and now reprinted in a cheaper paperback edition. Terry Dooley is Director of the Centre for the Study of Historic Irish Houses and Estates at Maynooth University. Christopher Ridgway has been involved with one of the greatest of English houses, Castle Howard in Yorkshire, setting for the TV adaptation of Evelyn Waugh’s novel Brideshead Revisited in 1981. And while in the United Kingdom, the animus against Big Houses and their occupants did not exist as it did in Ireland, the challenges – of preservation of the fabric and finding new uses for these large buildings – are just as great. The Anglo-Irish novelist Elizabeth Bowen – herself the owner of a Big House, Bowen’s Court, near Kildorrery in Co Cork – asked in 1942, in an essay in The Bell magazine, ‘Cannot we scrap the past, with its bitterness and barriers, and all meet, throwing in what we have?’ She saw the future of these houses as sociable, as places where all traditions could talk and resolve differences. Utopian, perhaps – but not entirely so. This collection of essays goes a way to arguing why that vision of the future is not entirely unrealistic, while explaining some of the difficulties thrown up by the past. There are eleven pieces here, most written by scholars and academic professionals in the field. And while some pre-knowledge of Irish history would be useful for the reader, the essays are largely self-contained and clearly-written, with good signposting. All deal with purely country houses, with the exception of Finola O’Kane’s analysis of the development of a suburban demesne in the eighteenth century, that of the viscounts Fitzwilliam, at Mount Merrion, in south county Dublin. Appreciating the social nuances and, above all, the economics of the country houses is essential to understanding their past occupants and future potential. Thus, Vincent Comerford, in a short but ideas-packed Foreword, notes that ‘Without vast quantities of fuel and a host of servants to keep the fires stoked, most great houses could be miserable to inhabit’ – a fact that will have been evident to watchers of the recent TV series Downton Abbey, or its forerunner, Upstairs Downstairs. One of the most informative essays in this regard is Patrick Cosgrove’s ‘Irish landlords and the Wyndham Land Act, 1903’ in which he underlines the pivotal effect of the Act in commencing the final transfer of land from landlord to tenant-purchaser. This essay describes how the Act worked, the landlords’ reactions to it, and – above all – its finances. The Act was designed by its author to facilitate a massive change of ownership, but to leave the erstwhile landlords with their houses and ‘home farms’. In this it was largely successful – though, perhaps presciently, Lord Castletown in 1903 voiced an opinion that ‘…the present generation may live on in Ireland, but I cannot help thinking that the next generation will not do so. I think that the old homes will then pass into the hands of others – rich merchants, rich solicitors and other persons of wealth’. All that did come to pass, with the addition of hotels and country clubs which, arguably, was the closest to the previous use of these houses as centres of hospitality and entertainment. Terry Dooley, in an essay on social life at Castle Hyde, 1931-88, details how this worked in the case of a Co. Cork mansion originally built in the late eighteenth century. It was a guest house in the 1920s, finally being bought by a rich American, Henry Laughlin, in 1931. ‘It was a social house, and should be enjoyed by all’, according to his daughter. And it was; Laughlin, as a ‘lord of the manor’ used it extensively to entertain family and friends. The cultural positioning of the country house is covered here in two essays – ‘Gothic in post-Union Ireland: the uses of the past in Adare, Co. Limerick’ by Judith Hill; and ‘The Music in the Irish Country House project: origins and objectives’, by Karol Mullaney-Dignam. The former is a rich description of the mediaevalising of Adare Manor in the mid-nineteenth century involving architects such as Pain and Pugin. The essay intertwines the architectural and dynastic ambitions of the Wyndham-Quin family, while not neglecting the particular locating of the house in the landscape for not only aesthetic reasons, but also to make a social and economic statement. The Big Houses were never accidentally placed. (Except, sometimes badly-placed, as O’Kane’s Mount Merrion essay demonstrates.) Likewise in social positioning, Mullaney-Dignam’s essay shows that the country house, a centre of wealth, could be important in fostering the finer arts – in this case the musical life of Birr Castle, Co Offaly, home of the earls of Rosse. 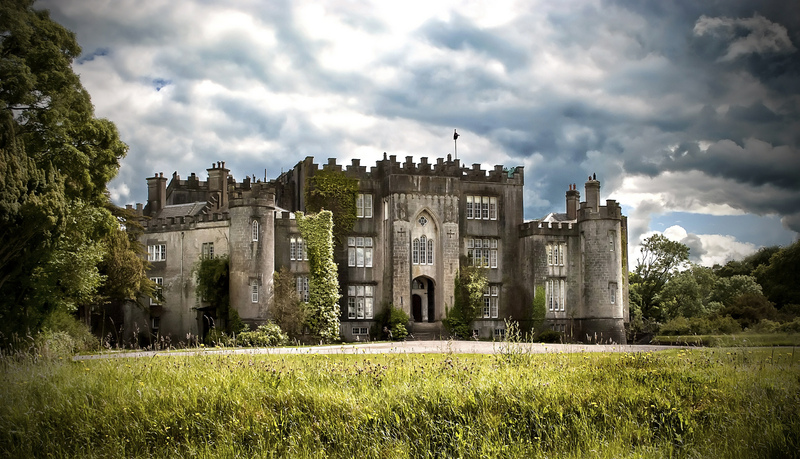 Birr Castle survived a darker episode in the lives of the Big Houses, around the period of Irish independence. Many of those in Offaly were less fortunate. Ciarán Reilly sets out the agrarian and political background to the burning of fourteen houses in King’s County between 1920 and 1923, and details how and why the individual dwellings were destroyed. This is a valuable addition to the other local studies of Big House burnings that are now beginning to emerge. But if it offers a rather depressing picture of the rejection of the country house and its occupants in independent Ireland, Olwen Purdue has a corrective in the case of Northern Ireland where, up to the 1970s, the gentry still exercised considerable political and social power at all levels. Here was ‘usefulness’ in the past; for the future Danielle O’Donovan and Jennifer McCrea consider the country house as an educational resource, a living, three-dimensional window to former eras. Two final essays largely draw on UK experience. Allen Warren’s is historiographical; he says the time is right for a re-evaluation of Big House history in Ireland – a search, perhaps, for J C Beckett’s ‘Irishness’ of the landed class. He points to the contrast with the English historiography. Christopher Ridgway details how interest in country houses in the UK has been stimulated, even if in Downton Abbey mode. This book is an important addition to our knowledge and interpretation of the country houses in Ireland, their dynamics, how they worked in the past and the relevance they might have for the future. ‘The twilight of the Ascendancy’ is the description often used of their occupants in the twentieth century; but there is, in the twenty-first, a new dawn, from the boutique hotel of Monaghan’s Castle Leslie to the cultural space that is Kildare’s Castletown; from the old family still at Birr Castle to the new one at Michael Flatley’s restored Castle Hyde. The Irish country house is by no means dead and buried. Dr Ian d’Alton is an historian primarily of southern Irish Protestant social and cultural history from the eighteenth to the twentieth centuries. In 2014 he was a Visiting Fellow at Sidney Sussex College, Cambridge. His latest publication is ‘Bowen’s Court as an “aesthetic of living”: a lost mansion’s significance in the imaging of the Irish gentry’, in J. Raven (ed. ), Lost mansions – essays on the destruction of the country house (Palgrave Macmillan, 2015).